Behind all the calculations, calibrations and measurements, there's an art to science. It's this art inside science that leads to the discoveries on the edges; that create curiosity producing speculation, which then allows for ever more discoveries. 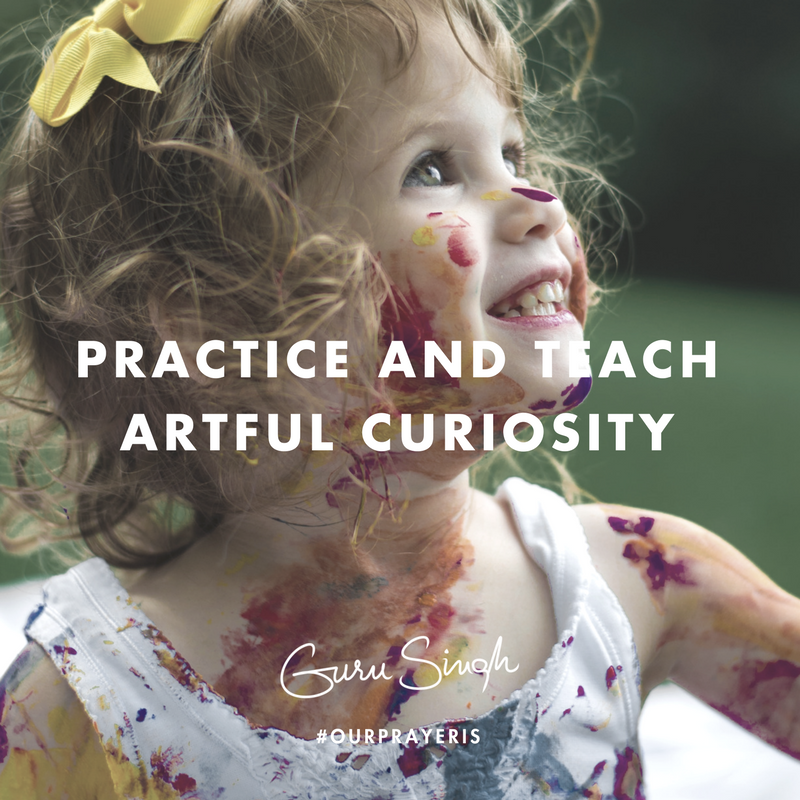 Artful curiosity leads you into the unknown areas of your own existence . . . takes you by the hand and allows you to become an explorer you've never dreamed of being. You see from new angles; in different directions; through a different colored lens, or a different shade of the same color, and this is an essential aspect of science. It's this art of science which allows for time to travel forward in all directions, rather than always looking backward into double-blind studies . . . often blind to the future. Not that the double-blind attitudes within experimental science are wrong, it just can’t be the only force driving new discoveries forward. The artist inside a curious mind is at least equally important for these progressions. This is the stage that today’s children are here to encourage, for it’s curiosity that leads them forward in their lives. Any time this curiosity is stunted by elders asking for conformation, you have introduced another blunt crushing of unfathomed discovery into the brain. This creates disinterest -- the natural response to repression, and another child becomes “less intelligent” in the eyes of the double-blind measurements. Education for the future of this world, to have any possible future for the existence of the world, will have to be driven by the curious and non-conforming children who are beyond any repressive control. These may well be the ones considered disabled by the measurements of today, and yet far more curious about the measures of tomorrow. Our prayer is that you encourage every child you meet to be interested in what can’t be measured; that you encourage the day-dreaming minds to curiously draw maps of the future in these dreams, and reward children for their mistakes as deeply as you do for being right . . . for mistakes are the steps into the unknown arts of science.